It was my pleasure to review this magnificent book about U.S. Navy helicopter combat rescue operations for downed aviators and crews during the Vietnam War. 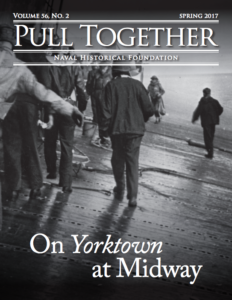 Naval Historical Foundation Program Director Dr. David F. Winkler suggested I review this book because of my own writing about U.S. Coast Guard history and that service’s Search and Rescue (SAR) legacy. 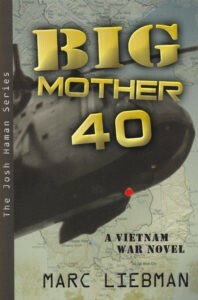 The USCG flew SAR missions with the U.S. Air Force in Vietnam in the Sikorsky “Jolly Green Giant” helicopters that author Marc Liebman chronicles in his exciting book, Big Mother 40. Captain Liebman USN (Ret.) was an aviator in Vietnam and the Middle East. Liebman brought that background to the pages of this historical novel about the USN helicopter rescue crews that supported and extracted Navy SEAL combat surveillance teams in daring rescues behind enemy lines. 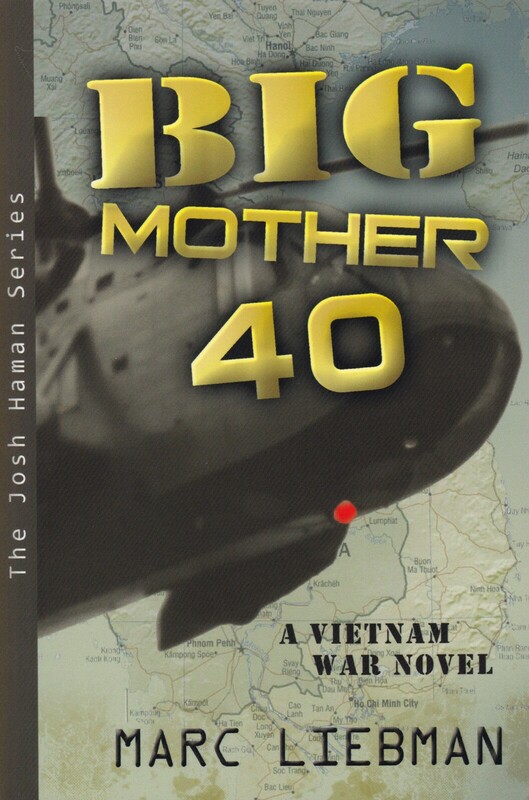 The author reconstructs HH-3A Jolly Green Giant SAR missions from land bases and off carrier and destroyer decks against Viet Cong and North Vietnamese Army forces. The HH-3A helicopters carried crews of five in huge, heavily armored and armed aircraft designed to hover, land, and fly over dangerous landing zones and heavy grass and forests where enemy troops waited to capture downed American helicopter and fixed wing aviators. Liebman guides the reader through complex military terminology, strategy, tactics, inter-service comparative ranks and rates, technology, ammunition and weapons, aircraft taxonomy, and an eclectic cast of soldiers, sailors, and intelligence operatives. Liebman’s military characters come from the USAF, USN, and USMC; and include the enemy: North Vietnamese soldiers (NVA), North Koreans, and Soviet (Russian) advisors. Liebman provides essential historical and geographic background, and organized his story around realistic subdivided sections that include dates, times, and geographic locations in Indochina and the Philippines. 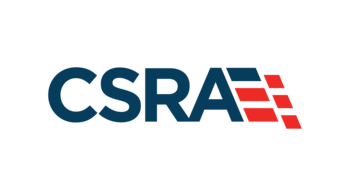 The author takes the reader through scenarios that suggest the author’s significant familiarity with combat operations, communications and aviation technology, classified documents and briefings. The objectives of the rescue teams were to “get in and out” safely, authenticate operational procedures, and avoid flying into enemy traps. Riveting accounts of combat action, and helicopter approaches and take-offs from hot Landing Zones are frightening enough to read about, let alone do. The author discusses enemy acquisition of classified information, in one case discovered by a SEAL team after hand-to-hand fighting. The information was transmitted by surreptitious means, some coming from South Vietnamese “allies,” and American traitors. Liebman described how the USAF called upon USN aviators and SEALS to find the secret NVA missile base that was shooting down so many aircraft over North Vietnam.